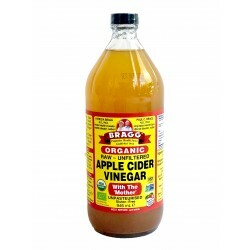 Apple Cider Vinegar (ACV) is a staple of health food stores and most household kitchens. Made from twice-fermented apples, it has a distinctive sharp taste. During the fermentation of the apples, acetic acid is produced, which is responsible for the tart flavour and pungent odour of vinegar. Other constituents of vinegar include: vitamins, mineral salts, amino acids, and polyphenolic compound (1,2). Raw and unfiltered ACV also contains “the Mother”, a mix of proteins, bacteria, and enzymes (similar to the SCOBY in kombucha), which is hailed as a digestive aid and prebiotic. Beyond the kitchen, people often consume ACV diluted with water as a daily drink. The internet is full of reports of people using it as a health tonic to help with a wide array of issues from digestion, to detoxification, joint pain, and weight loss. This isn’t a new concept: as far back as 400 B.C., Hippocrates, the “father of medicine” is said to have used it for its healing properties and to fight infections. According to the Online Archive of American Folk Medicine, US medical practitioners in the late 18th century treated many ailments, from dropsy to poison ivy, croup, and stomach ache, with vinegar. Modern research does corroborate some of these health claims. For example that the acidity of vinegar gives it antibacterial properties, and that it also acts as a digestive aid (mainly by reducing stomach pH). Of particular therapeutic value in the modern world is the research showing that ACV has an anti-glycaemic effect when consumed regularly. The consumption of ACV just before or with meals has been shown to slow down the rise in blood sugar after the meal in both animal and human studies. Indeed, in humans, consuming vinegar before a carbohydrate heavy meal has been shown to reduce blood glucose response by approximately 20-30 percent (3,4). Three separate placebo-controlled trials have corroborated the meal-time anti-glycaemic effects of 20 g of ACV in healthy adults [5,6,7]. 20g is the rough equivalent of 1-2tablespoons of liquid ACV. It is not known how vinegar alters meal-induced glycaemia. One theory is that it might interfere with carbohydrate metabolism and slow down the breakdown of starches into sugars. But some research suggests it reduces gastric emptying rate (5). Not only can ACV blunt the glycaemic response straight after a meal, it has been shown to reduce fasting blood sugar levels too. In a study by White et al in 2007, vinegar ingestion at bedtime was shown to moderate waking glucose levels in adults with type 2 diabetes (10). Johnston et al, 2004, showed that following the consumption of vinegar with a high carbohydrate meal, subjects with type 2 diabetes showed an increase in insulin sensitivity (11). Another study in type 2 diabetics observed a decrease in haemoglobin A1c levels after the consumption of 2 tablespoons of vinegar twice daily for 2 weeks (12). Haemoglobin A1c, is haemoglobin with glucose attached. It is a measure of longer term blood sugar levels. Higher amounts of glycated haemoglobin indicate poorer control of blood glucose levels, and have been associated with cardiovascular disease, nephropathy, neuropathy, and retinopathy. This reduction of A1c happened rapidly (within the first week of treatment) and was sustained during the study period. 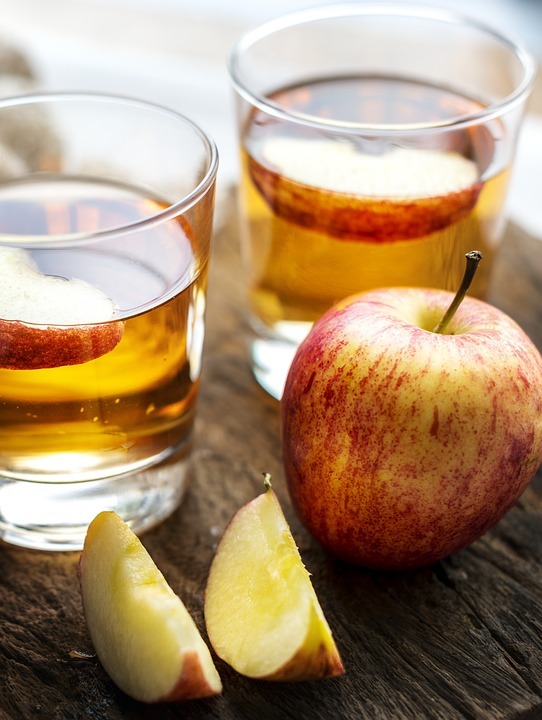 Many claim apple cider vinegar is a weight loss miracle. Considering its effects on blood sugar levels, this claim could be substantiated. Indeed, in a blind, randomized, placebo-controlled, crossover trial on healthy adult women, those who ingested ACV with their morning meal consumed fewer total calories that day (200-275 less calories)(8). This was thought to be due to the slowing down of gastric emptying and a resulting increase in satiety. Regardless of the mechanism, the slower release of glucose into the blood when consuming ACV means blood sugar doesn’t spike, and is less likely to be followed by a sharp drop and subsequent sugar cravings too. This effect can be very helpful to those trying to reduce their sugar intake and caloric intake in general. Interestingly, studies in rodents found that acetic acid consumption, the main component of ACV, increased fatty acid oxidation and prevented fat accumulation (14, 15). However, there are no human trials to corroborate this. Choose a reputable, good quality Organic, Raw and unfiltered Apple cider Vinegar. Research indicates that daily apple cider vinegar consumption favourably influences postprandial and fasting blood glucose levels, and insulin resistance in healthy adults as well as adults with or at risk of type 2 diabetes. ACV is inexpensive, readily available, and a delicious addition to food. Although studies have used vinegar diluted as a drink, it could also be incorporated into meals as a vinaigrette/salad dressing or on vegetables. It is worth noting that studies have mostly researched liquid ACV, therefore it shouldn’t be assumed that dry ACV tablet counterparts have the same benefits. The best time and frequency of ACV consumption for its anti-glycaemic benefits? Most research use it at meal times, twice a day. It has also been used first thing in the morning and at bedtime. 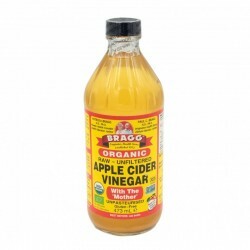 But seeing as ACV is acidic it may be best to take it before meals rather than on an empty stomach. The acidity of ACV is helpful to stomach digestion too. Making sure the vinegar is diluted is also important as it could irritate the throat and erode tooth enamel. ACV could confer therapeutic benefits in people with type 2 diabetes, insulin resistance, PCOS and potentially in weight management patients. 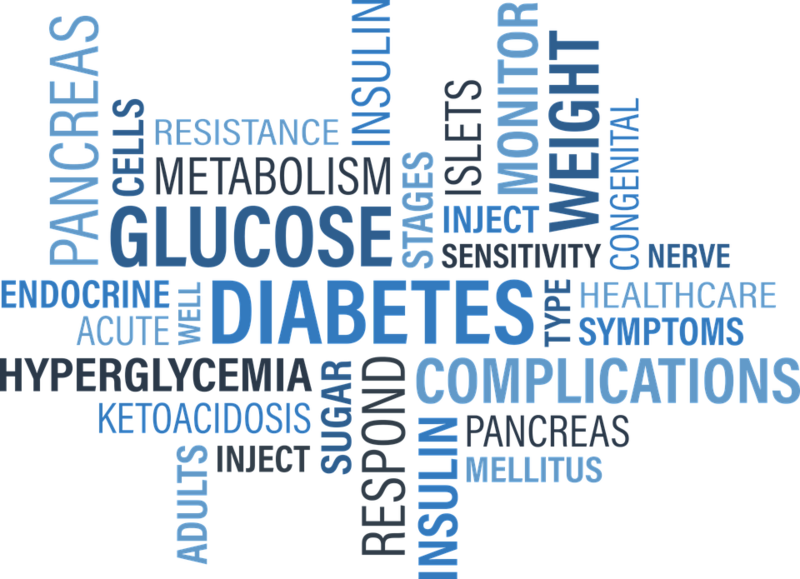 Data from Public Health England reveals 3.8 million people in England over 16 years had diabetes in 2015, that’s around 9% of the adult population. According to www.diabetes.co.uk diabetes prevalence in the UK is estimated to rise to 5 million by 2025. Type 2 diabetes has been growing at a particularly high rate and is now one of the world’s most common long term health conditions. Considering the rise in obesity and type 2 diabetes in the modern world, ACV seems a simple and rather inexpensive natural complementary treatment to help improve blood sugar levels and reduce insulin resistance and could be easily added to most people’s daily routines. What’s more ACV is almost calorie free and a great flavour enhancer. 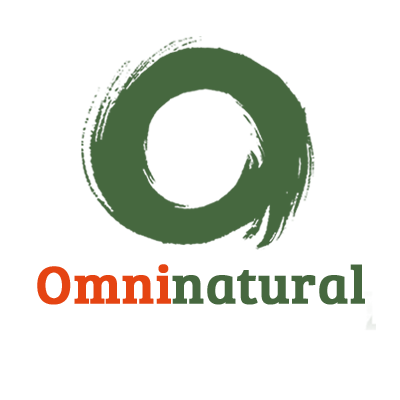 1- Natera R, Castro R, Garcia-Moreno M, Hernandez M, Garcia-Barroso C. Chemometric studies of vinegars from different raw materials and processes of production. J Agric Food Chem. 2003;51:p.3345–3351. 2- Morales ML, Tesfaye W, Garcia-Parrilla MC, Casas JA, Troncoso AM. Evolution of the aroma profile of sherry wine vinegars during an experimental aging in wood. J Agric Food Chem. 2002;50:p,3173–3178. 3- Brighenti, F. et al, Effect of neutralized and native vinegar on blood glucose and acetate responses to a mixed meal in healthy subjects. Eur J Clin Nutr, 1995. 49 (4):p.242-7. 5- Liljeberg H, Bjorck I. Delayed gastric emptying rate may explain improved glycemia in healthy subjects to a starchy meal with added vinegar. Eur J Clin Nutr. 1998;64:p. 886–893. 6- Johnston CS, Buller AJ. Vinegar and peanut products as complementary foods to reduce postprandial glycemia. J Am Diet Assoc. 2005;105:p.1939–1942. 7- Leeman M, Ostman E, Bjorck I. Vinegar dressing and cold storage of potatoes lowers postprandial glycaemic and insulinaemic responses in healthy subjects. Eur J Clin Nutr. 2005;59:p.1266–1271. 11- Johnston, CS, CM Kim and AJ Buller, Vinegar improves insulin sensitivity to a high-carbohydrate meal in subjects with insulin resistance or type 2 diabetes. Diabetes Care, 2004.m 27(1):p.281-2. 12- Johnston CS, AM White, and SM Kent, Preliminary evidence that regular vinegar ingestion favourably influences haemoglobin A1C values in individuals with type 2 diabetes mellitus. Diabetes res Clin Pract, 2009. 84(2): p.e15-17. 15- 15- Fushimi T, and Y Sato, Effect of acetic acid feeding on the circadian changes in glycogen and metabolites of glucose lipid in liver and skeletal muscle of rats. Br J Nutr, 2005. 94(5) p.714-9. 16- Erica TW and R Calderon-Margalit et al, Polycystic Ovary Syndrome and Risk for Long-Term Diabetes and Dyslipidemia. Obstet Gynecol. 2011 Jan; 117(1): 6–13.